I love a controversial product and they donâ€™t come more so than this, it had me grinning like a Cheshire cat. Itâ€™s been a long wait but finally we have a box that accepts digital data streams properly. As mentioned somewhere else on the Sonata site (the Wadia pages I think) I donâ€™t have any problems with data but I do have a huge problem with Jitter (and to think that some digitally brainwashed disciples said its effects â€˜didnâ€™t existâ€™) and domestic digital interfaces. 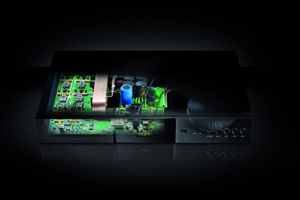 Thank goodness the boffins at Naim also donâ€™t like the big J either â€“ hence the significance of the Naim DAC. Say â€˜Bye byeâ€™ to jitter and â€˜helloâ€™ to music â€“ itâ€™s that simple. Oh, and simply add your choice of power supply to make it even more musical !